Titan is another one of those publishers kicking out amazingly good independent comic books, and the new edition of Lenore by Roman Dirge is no exception to the process that Titan has going for them. 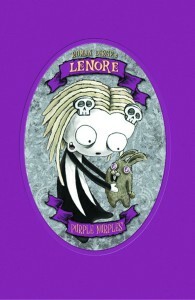 Lenore, the fun dead little Goth girl is roaming the earth again because hell got too full. Interesting premise that Hell could become too full and has to eject souls into the world rather than enjoying a toasty afterlife. I really dig the pig that kept on growing tentacles out of its back and invades the sleeping cycle of Lenore. Honestly though, why do the dead need to sleep? So we can have pigs with butcher marks on them and backs that split open releasing tentacles like releasing the kraken. It is awesome and brilliantly understated. Roman just keeps the weird coming all the way through this book, and the good part is that trying to find the comic books is impossible and expensive so this issue rolls up the sold issues of 4 through 7. The version I have is the hard cover, and it is just a pleasure to hold in your hands. Nothing wrong with electronic comics they have opened up a whole new door to readers. But holding in your hands a print edition is something that just makes your day when it is as beautifully done as this issue is. Titan is amazing, Roman is wonderful, and this issue of Lenore is just a sweet dark treat to hold in your hands. The only thing that would be better is to have Invader Zim comics and toys everywhere in the house. I am going to rate this one five of five stars because Roman just hits on all the numbers with the colors, the panels, the ease of reading, and the fact that they have a pig with tentacles. There is such an amazing attention to detail all through this comic book that really puts the modern comic book to shame. Titan has done a wonderful job of publishing and presenting this title, and it is absolutely worth picking up. Odds are highly likely that you will be able to find this title everywhere, including Amazon, Ebay, and your local comic book store, so don’t hesitate. 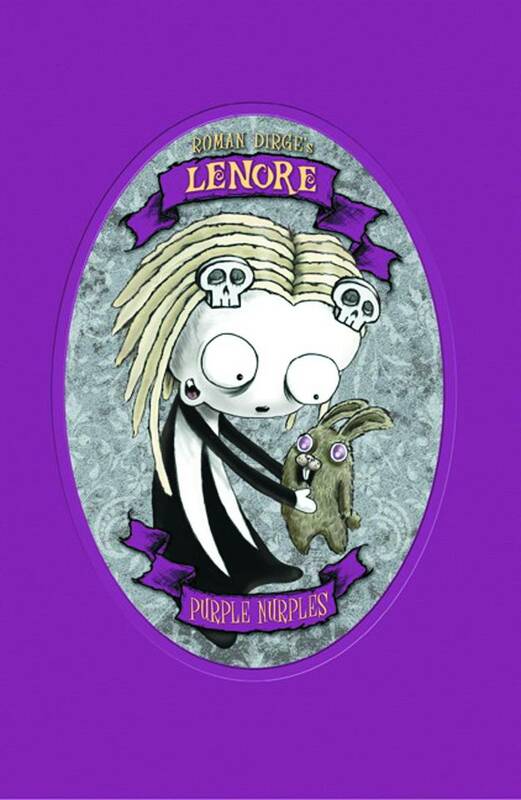 If you love Lenore, you are going to totally dig on this book. Give my regards to the pig, if he ever needs a new home, tell him to come on over, I’ll make space.